Integral Coach Factory Chennai Jobs 2017 2018 has announced on their recent notification. This recruitment has revealed for 564 Apprentices (Fresher’s & Ex-ITI) Posts . Want to apply in online? Find here complete details such as Syllabus, Age Limit, Eligibility Criteria, Exam Fee, Application Processes, ICF Chennai Admit Card Date, ICF Chennai Exam Date, ICF Chennai Result Date and ICF Chennai Last Date Details. Find below all details. 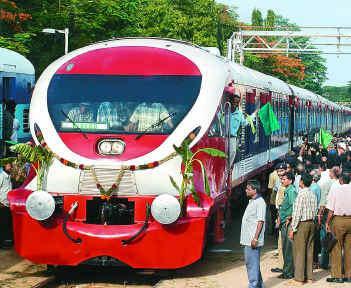 Integral Coach Factory (ICF) is a manufacturer of rail coaches located in Chennai, Tamil Nadu, India. It was established in 1952, is owned and operated by the Indian Railways. The coach factory primarily manufactures rolling stock for Indian Railways but also exports railway coaches to other countries parra. Integral coach factory was established in 1952 and started production on 2 October 1955. The first items produced were third class shells for Southern Railway. Graduation details: 12th Std examination. Based on the role that educational qualification will differ, so you can refer the notification. Age limit range: 15 to 25 Years. The Upper age limit is relaxed by 5 years for SC/ST; 3 years for OBC, 10 Years for Persons with Disabilities (15 years for SC/ST PWD’s & 13 years for OBC PWD’s) and for Ex-S as per Govt. of India rules.